This eye-catching hatchback from Mercedes-Benz is a great option if you're looking for a practical family car that will offer considerable refinement and a host of clever technology features. The snazzy exterior of the B-Class is matched by a high quality cabin that offers plenty of space and a flexible seating setup. The car's ride is smooth and responsive and you'll soon be looking forward to the next corner. 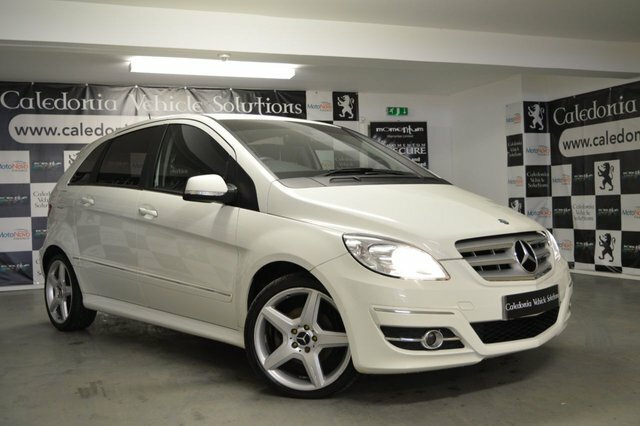 Caledonia Vehicle Solutions Ltd is a leading supplier of quality pre-owned cars and you'll be able to find great deals on used Mercedes-Benz B-Class models for sale in Edinburgh on our forecourt. Take the opportunity to view the complete range of used cars available here on the website.